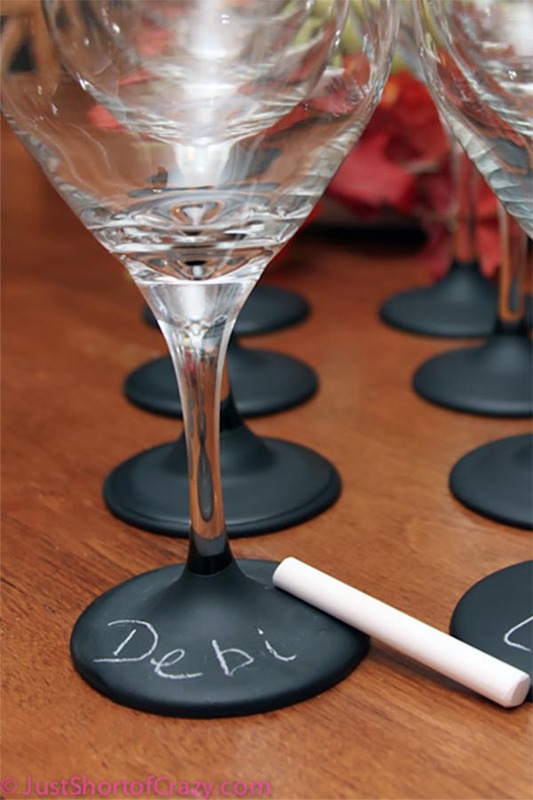 Sure, you could just go with plain, rented beverage glasses for your guests’ drinks and be done with it, but why not add an entertaining twist by relating the favor to the drinks? The glass itself, how you decorate it, what you put in it, or what you serve with the drink can all create a bit of joy for your guests. A big thank you to Michelle of Choice Promotional Products, who suggested some of these ideas as well as sponsored the post. 1. Personalized drink glasses can be all kinds are fun. The pre-printed, clear glass varieties have been around for ages, but modern technology and today’s more laid-back weddings have allowed for an expansion of the concept. Take these double-walled tumblers, for example. 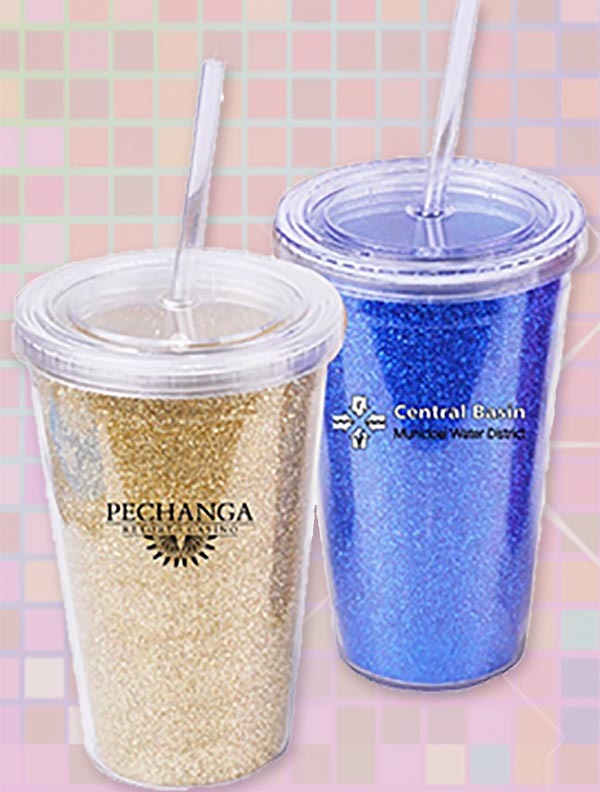 Glitter adds to the atmosphere and lids eliminate dance floor spills. 2. 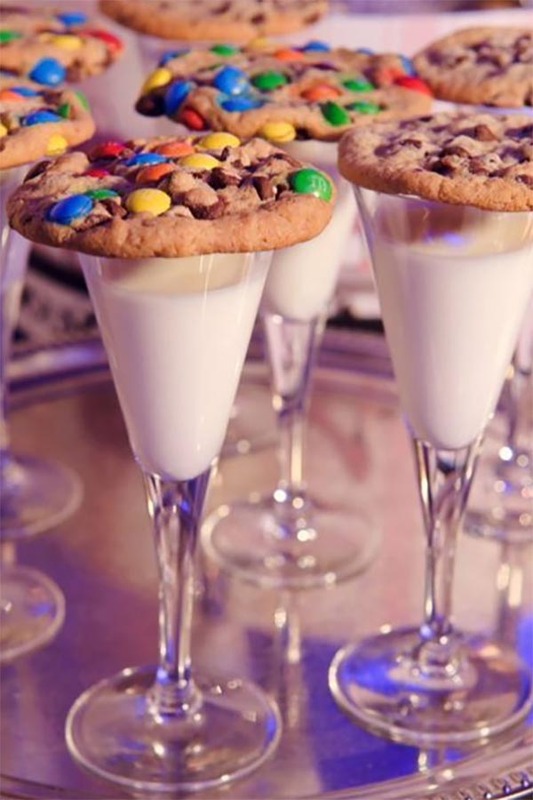 Even plain glasses can be entertaining if the favor is a treat. How about milk and cookies as a send off? Avery House Photography of Chicago captured these sweet “cocktails” served impeccably on a silver platter. 3. Painting a wine glass is another option. Taking brush to glass is straightforward for those of you who have the talent, but something like applying writable chalkboard paint can be tricky. Fortunately, Deb and her readers at JustShortOfCrazy have done the experimenting for you. The step-by-step tutorial has tips for avoiding paint pooling and drips. 4. Koozies are cool and useful, but many tend to be a bit blasé. What, after all, can make a foam cylinder exciting? More than you would think. 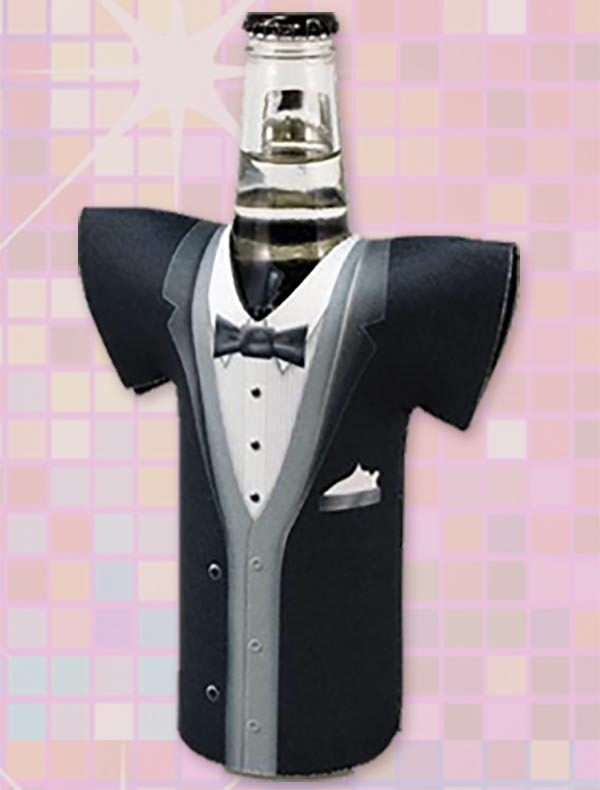 This tuxedo bottle cover ratchets up the style by dressing the bottles for your event. 5. Beach wedding cocktails, anyone? 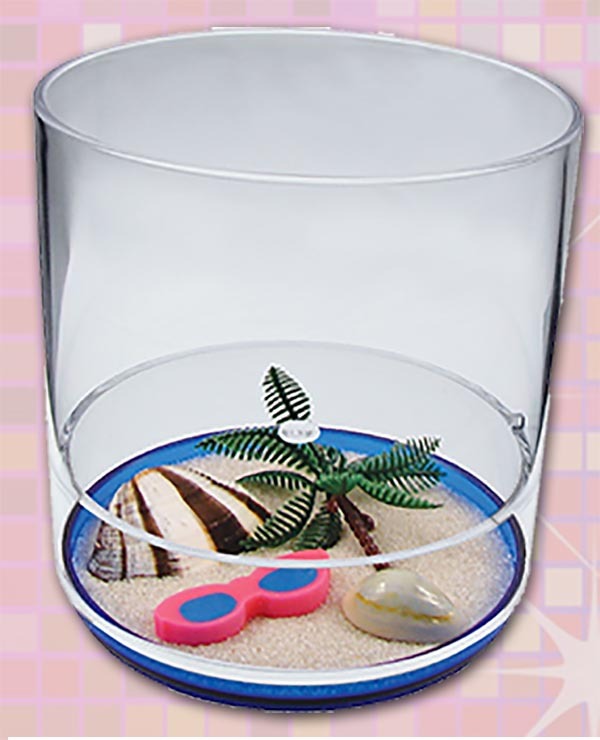 What cuter way to expand the tropical wedding theme than with beach-adorned drink ware? 6. Mason jars have crossed the line from purely rustic to relatively main stream. 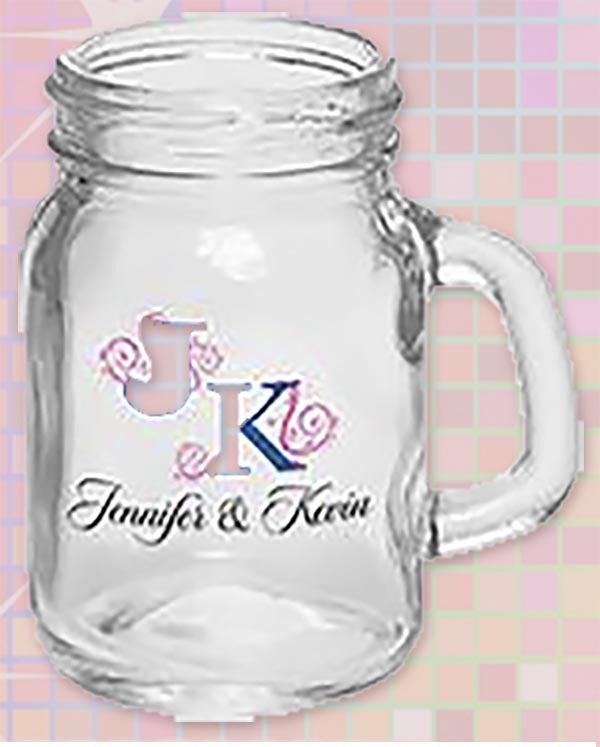 These little four and one half ounce versions–customized with your wedding logo, monogram, or any design you like–will make cute mixed drink glasses for your guests. OR make the favor a dessert in the glass. 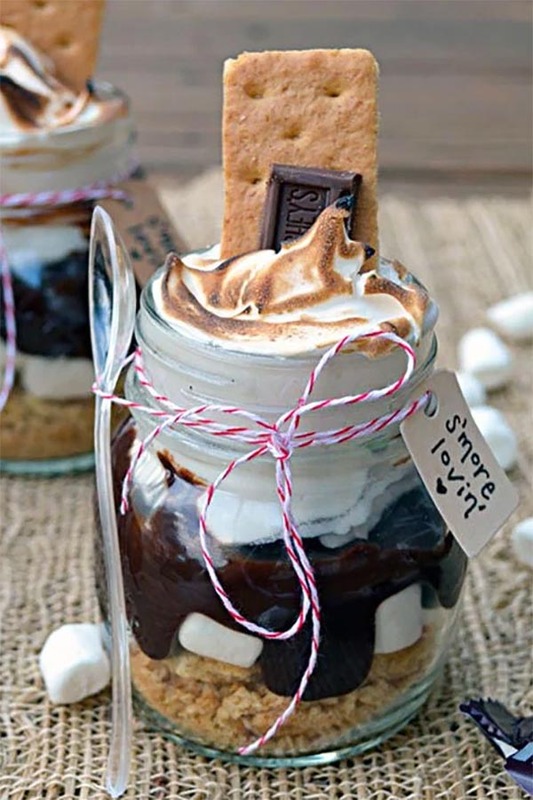 Get the tutorial for these s’mores treats on HostTheToast. 7. A take-home beverage can also be something for your guests to enjoy at home. Mixes are a way to provide a liquid memory of the event without the potential mess of during the drive home. 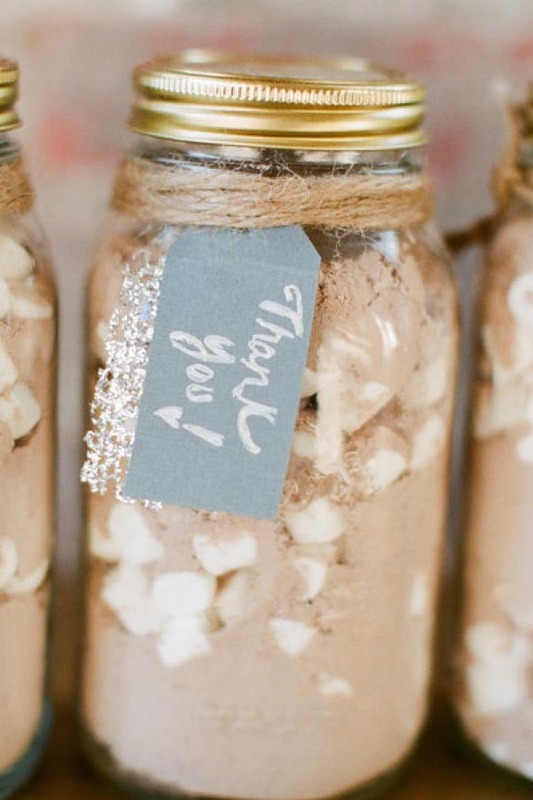 Here, photographer Alea Lovely captured DIY hot cocoa favors at one of her weddings. Use your imagination to come up with your own unique twist (tea or apple cider as alternatives to cocoa, for example). These, of course, do not cover all the possibilities. 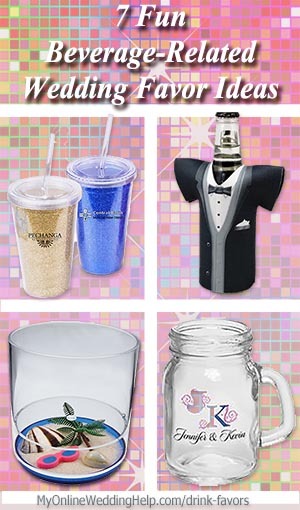 So, tell me, what are YOUR ideas for drink-related wedding guest gifts? Post Sponsored by Choice Promotional Products.